Fundraise to help us place McGrath Breast Care Nurses in communities across Australia and increase breast awareness in young people. Sign up to the Medibank Melbourne Marathon Festival 2018 and gather support from friends, family and workmates to raise money and help fund specialist McGrath Breast Care Nurses where they're needed most. 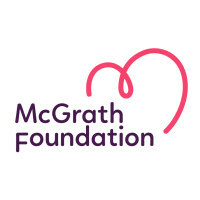 Supporters who join and commit to raising $1500 will receive a McGrath Foundation running singlet! Click Fundraise - as team or Fundraise - as individual on this page, to create your own personal fundraiser for the event. Shoot for the stars - supporters who raise $1,500 or more will receive a McGrath Foundation running singlet! So lace up your shoes and get running, and help raise funds to make life that little bit easier for individuals and families experiencing breast cancer.